Welcome to our Mercedes Benz SL (R129) Store. 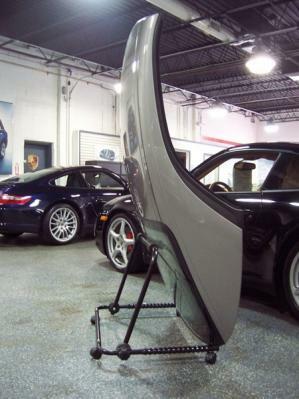 Perfect for lifting the hardtop off of your Mercedes Benz SL. 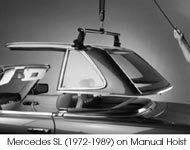 This hoist is specifically designed for the 1963-1989 Mercedes Benz SL roadster and utilizes the drip rail on each side of the hardtop to hold and perfectly balance the top. 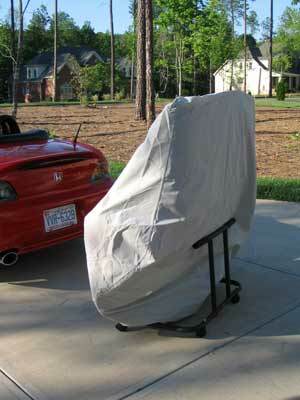 Hardtop in stand cover. Color is gray. Premier Custom Mercedes Benz SL (1990-2002) Floor Mats. Custom fit heavy duty cut nylon pile carpet. Set of 2 front mats (no grommets included). 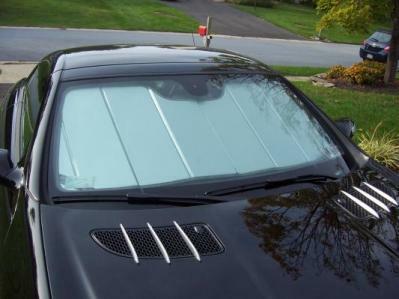 This will fit all models for 1990-2002 only. 100% durable with a thick, plush feeling. These floor mats have better coverage than most original mats and are WASHABLE! Sturdy vinyl nibbed backing keeps them in place. Premier Custom M-B SL Floor Mats are available in the following colors: Beige, Black, Caramel, Driftwood, Evergreen, Gray, Gray Mist, Navy, Smoke, Taupe and Wine. Previews of the available colors can be found by clicking on the underlined Mercedes Benz SL (1990-2002) Premier Custom Floor Mats link next to the picture above. The simple yet intelligent design of the Roadster Valet allows you to maximize your space while keeping your clothes wrinkle free during travel. 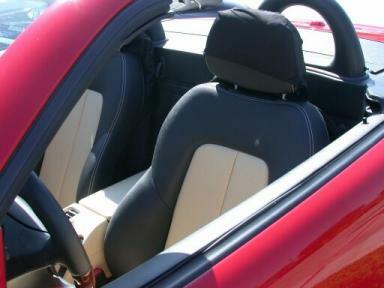 Attaches easily and quickly to the headrest in your SL roadster. 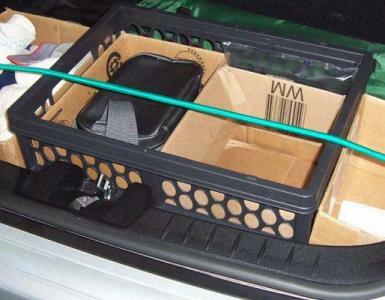 Holds approximately 8 garments with space for shoes and accessories across the bottom. Two shoe bags are included with the Deluxe Edition. 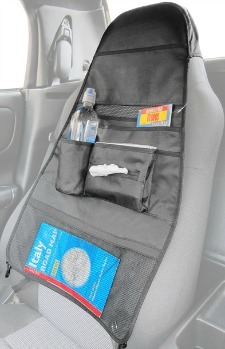 I use mine all the time for picking up dry cleaning by putting it in front of the headrest. Finally, my shirts come home the way they left the cleaners. Select Seat Style and Deluxe or Sport Edition Valet on checkout. 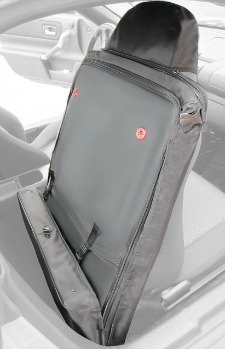 The Deluxe Edition is made from luggage-weight 1000 Denier Cordura with a pair of shoe bags. The Sport Edition is made from light-weight, water-resistant 440 Denier Nylon and does NOT come with shoe bags.